How do you know if you're a good fit for business training? Before you spend thousands on tuition, and invest the next 12 months studying, how can you be sure this path is right for you? These are crucial questions for any student—questions you absolutely should be asking. College is a big investment, and a lot of hard work. The point of training is to build on your natural skills, and get qualified for a career you'll be great at, and truly enjoy. Does it make sense for you to pursue business training? Consider how well you match up with the 9 traits on this list. 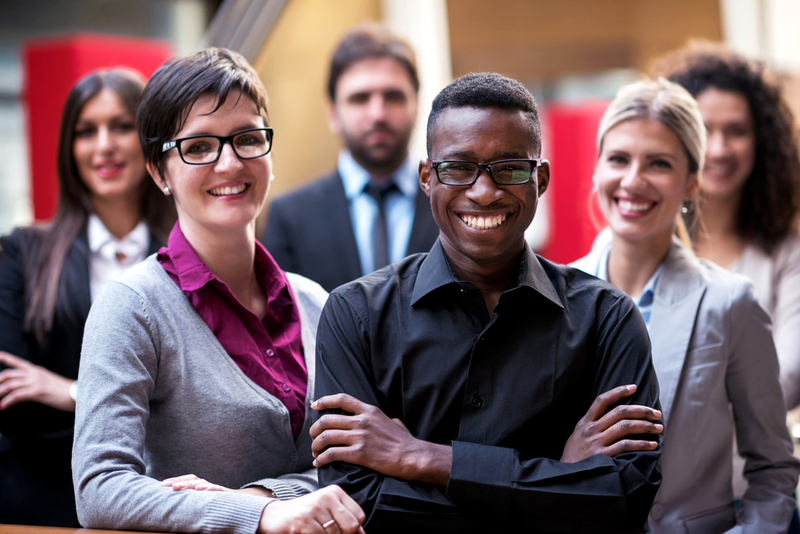 These are the characteristics we look for in businesses students, and clear signs you'd do really well in a business career. Let's get started. Success at school starts with having a career goal you're truly excited about. You might not know exactly what business position would fit you best—but if you know you want to work in an office, and join a successful team, you're on the right track. Do you want to help a company or small business grow? Are you looking to work for government, or a non-profit community organization? Business school leads to opportunities in many different work environments—but they all have certain characteristics in common. You'll be working with a team, organizing projects and events, and ensuring daily operations run smoothly. There will be clients to serve, problems to solve, goals to reach—and you'll play an important part in making it all happen. Maybe you already have some experience in business administration, and need training to qualify for a promotion to management. Or, you're just starting out, but already know you want to be a leader. If your goal is to run an office, or supervise a team, business training is a logical next step. You'll develop the technology, employee management, organizational, and strategy skills needed to work in management. You may not get a leadership role straight out of college, but combined with work experience, the knowledge you learn in class will give you a competitive edge. Not sure exactly what kind of business position you'd be good at, but want to keep your options open? A business diploma is your best bet. This is quite possibly the most flexible college program out there. You'll be prepared to pursue entry-level jobs in any of these areas after college. Try out different roles, and find your true calling. Business training is an excellent way to open more doors. You shouldn't enrol in business training if you're not ready to roll up your sleeves, and learn some new computer skills. If you look at the skills businesses want for entry-level positions in accounting/payroll, customer service, office administration, and management, you'll find technology at the top of every list. See examples of what we mean here, here, and here. Companies don't have time to train you in basic programs, like Microsoft Word, Excel, PowerPoint and Outlook. You need to have a solid understanding of these tools going into the position. Knowledge of accounting software is also highly valuable. You can expect to learn a complete accounting package at business school, such as Simply Accounting or QuickBooks. Don't feel hugely confident around computers? Don't worry. Your training will start from scratch (how to use an internet browser) and slowly grow more advanced, as you work through the program. There will be plenty of projects and practice sessions, to help you gain confidence and master these skills. If you're willing to work hard, you'll do just fine. No matter what career path you choose after business training, you will need strong written and spoken communication skills to do your job well. From accounting to customer service to administrative support to office management: all these positions demand excellent communication. And while you're at business school, you can expect to spend a considerable amount of time working on this skillset. You'll be learning how to research information, write reports, give presentations, and compose business emails. You'll be creating marketing plans and sales strategies. Everything about business training connects back to communication. If you have a natural flair in this area, and are excited to grow your abilities further, you'll do great in this program. 6. You're known as a "people person"
The term "people person" gets thrown around a lot in business. But what does it actually mean? How do you know if you have this skill? Well, if someone is talking about being a people person, what they're really talking about is something called emotional intelligence—or EQ. It's pretty obvious how these skills would benefit you in business. From dealing with your boss, to delivering excellent customer service, to successfully working with a team, to making friends at work...being a "people person" is a basic requirement for most business professionals. Business is not a single-person game; it's a team sport. Every successful venture—from a tiny startup to a global brand—relies on teamwork to grow and thrive. No matter where you work after business college, you've discover that cooperation is key. You'll be relying on colleagues to complete projects and meet deadlines. You'll be coordinating with outside vendors and partners to fulfill daily responsibilities. And of course, you'll have managers to report to, and work closely with, on important tasks. People who excel in business training and build successful careers are great at collaborating. They know how to divide up a job, are ready to share praise and rewards, and don't blame others when a task doesn't go well. It's one for all, and all for one. Bottom line: Businesses hire candidates who will work well with their team. A recent survey by SHRM proves that 83% of managers look at teamwork and team-fit when hiring for entry-level positions. It's inevitable: a customer will complain to you about a product or service. A manager will point out mistakes on a report you wrote. A performance review will highlight areas where you need to improve. Criticism is a natural part of working in any business or organization. And to be honest, it's what pushes you to get smarter, stronger, and more productive at work. But if you can't handle negative feedback, won't admit when you're wrong, or lash out when criticized, you won't get far in business school, or at work. When you're just starting out, a thick skin and healthy dose of determination are huge assets. In fact, these attributes are important at every stage of your business career. Your willingness to continue learning, and overcome setbacks, will determine your success in this field. Just take a look at this Forbes article on the traits of world-famous business leaders. You'll see "persistence" and "thick skin" at the very top of the list. Creative, resourceful, analytical thinker, self-starter...these are all adjectives we associate with successful business people. Why? Because whether you work for a non-profit organization, or a multi-national corporation, you'll find that offices are fast-paced environments, where anything can (and does) happen. Hiring managers for administrative and management roles want people who can adapt to change, keep calm in a crisis, and solve problems on their own. If you enjoy a good challenge, can see a problem from multiple perspectives, and are great at getting things done, you'll do very well in business training. This trait alone will take you far in the world of business. So...what's the verdict? Think you're ready to start looking at college business programs, and planning your next move? We'd love to hear from you. 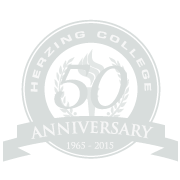 Use the links below to explore Business Administration Training at Herzing College, and connect live with a knowledgeable admissions advisor. Find out if Herzing is a good fit for you, and get expert advice on starting your new career. Get fast, free information about admission requirements, tuition, courses, and how to set up an advising appointment. Browse a detailed course list, learn more about the program, and chat live with an admissions advisor. Get your questions answered, quickly and easily online.